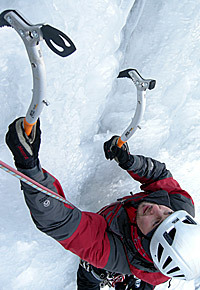 Ice climbing on Ultima Thule. 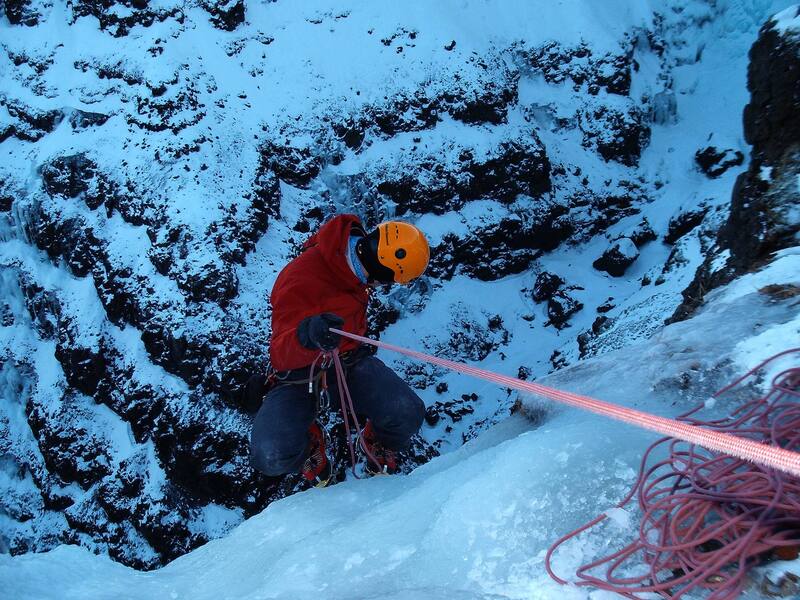 Traveling to Iceland in winter for ice climbing holds many uncertainties. Uncertain are the very short-term and extreme temperature- and rainfall-variabilities and thus constantly changing ice conditions and avalanche problems. This affects especially areas close to the coast. Furthermore, most of the icefalls aren’t documented yet, only few areas are known and developed. Therefore the potential for first ascents is huge. 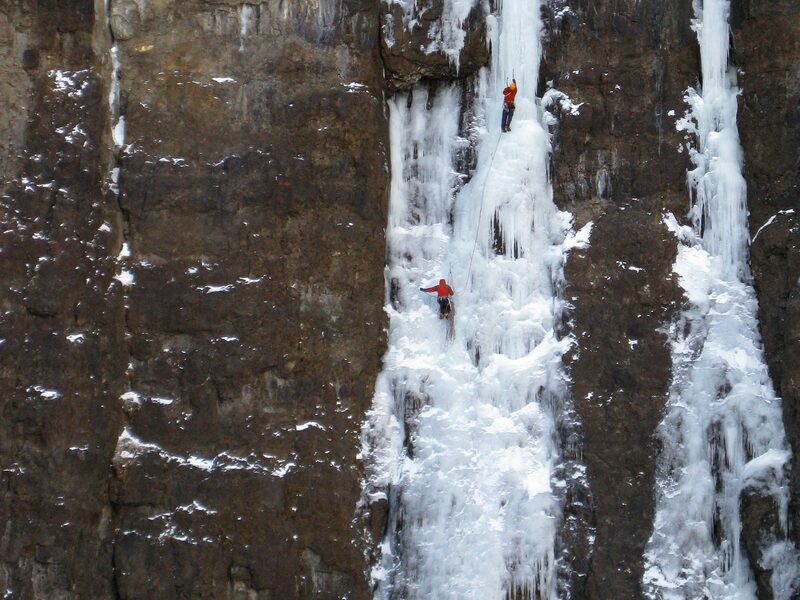 Our goals: climbing some of the best icefalls of Iceland, trying to explore unknown areas and climbing new lines. 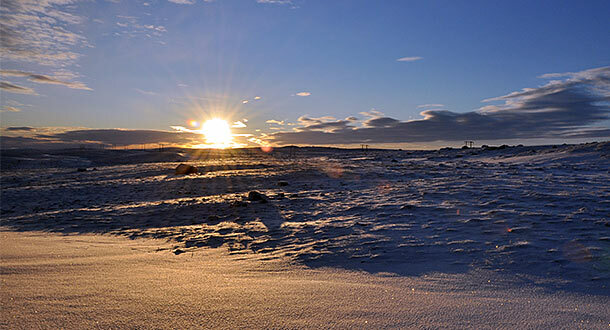 The problem in searching new territory is mainly the short daytime – in February the sun showes up around 10:30 in the morning.  Therefore Iceland’s geographical location gives us a short calculated timetable. We spend the first days of our trip in Reykjavík. 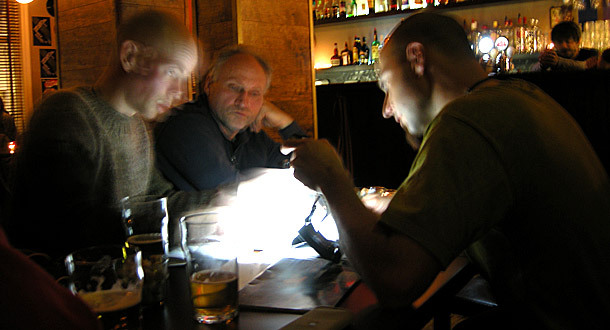 Here we meet up with Skarphéðinn Halldórsson from the Icelandic Alpine Club (ÍSALP). 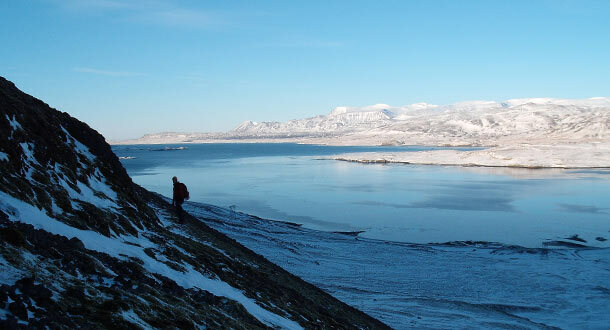 He is in charge of the documentation of the climbing areas and every first ascent on Iceland. Together we discuss the current situation on the island. We have our first contact with Icelandic ice in the area Brynjudalur in the Bay of Hvalfjörður, just an hour north of Reykjavík. This area is still not very common. For the first time we learn what makes ice climbing in Iceland so unique: there is a profound silence across the country. Only you and your partner experiencing adventure in a great solitude. We head on to Haukadalur, a barely populated valley near the west coast of Iceland. 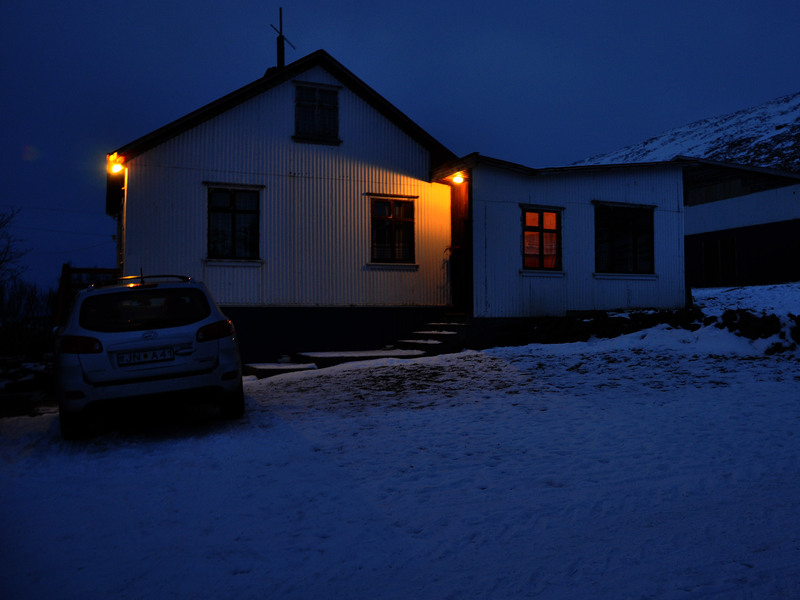 Here we stay at the farm Stóra Vatnshorn. From there it isn’t far to the top climbing spot Skálagil. The area is hidden away in the southeastern end of the valley, the access on steep slopes is quite laboriously and takes a lot of time. But it is worth the effort. Marco and I succeed in climbing a great route by Will Gadd: Brasilian Gully, WI5/5+. Today we manage very elegant climbing routes in a beautiful ambience: a bizarre amphitheater, frozen in ice. From Reykjavík, heading north on Road #1 to the fjord Hvalfjörður, then on its southern side on Road #47, park your car just before the bridge (signpost Brynjudalsvegur) nearby a fence. 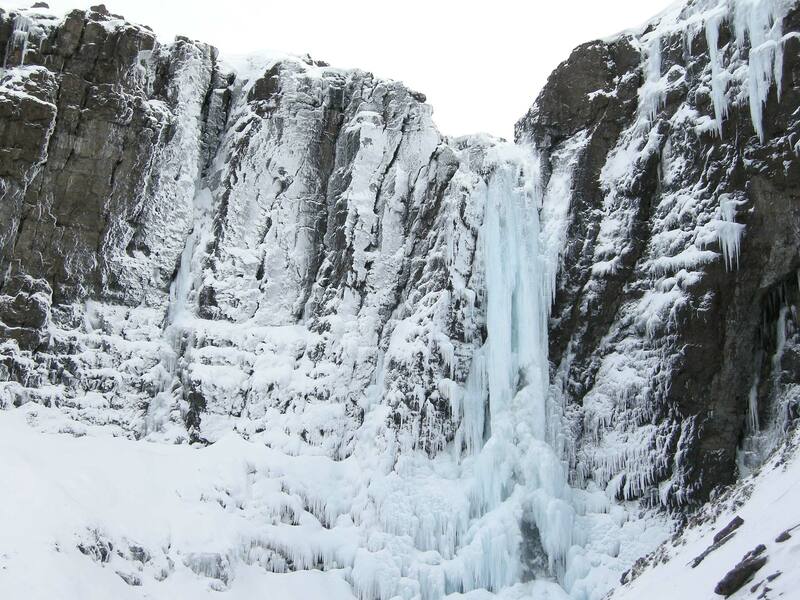 The icefalls are 150 m above sea level, approach 20 min. Rappel anchors must be installed by yourself, there are no trees or even drilled rappel anchors. 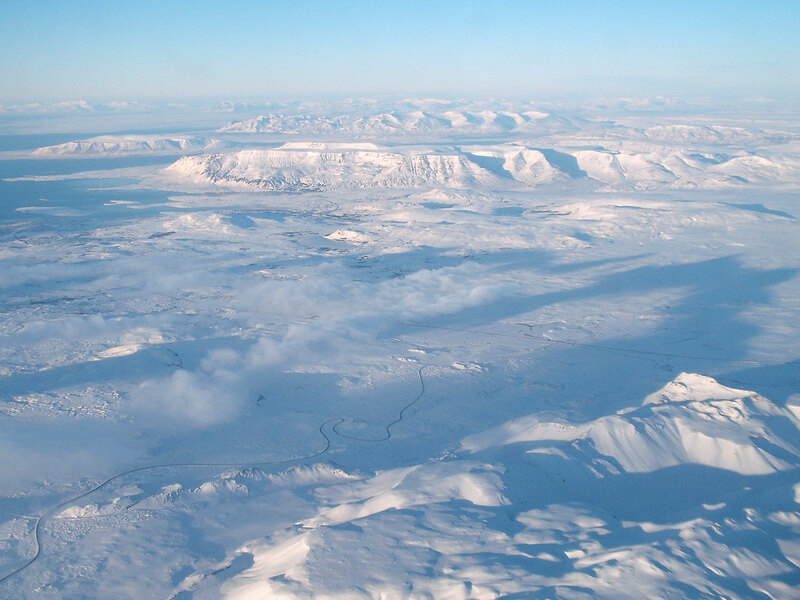 The farm Stóra-Vatnshorn is located at the lake Haukadalsvatn, south of Mount Vatnsfjall. 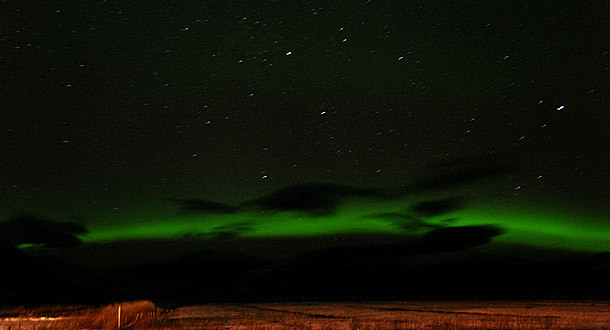 From Reykjavík, heading north on Road #1, then Road #60 direction Búðardalur, then Road #586 to the farm. 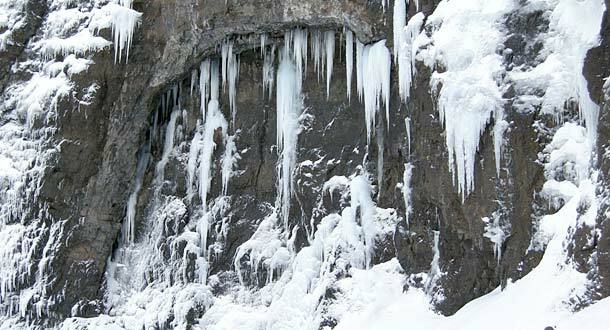 The icefalls are located on the south side of the valley.